Weight loss isn’t a number, it’s a story. We also redesigned their logo. 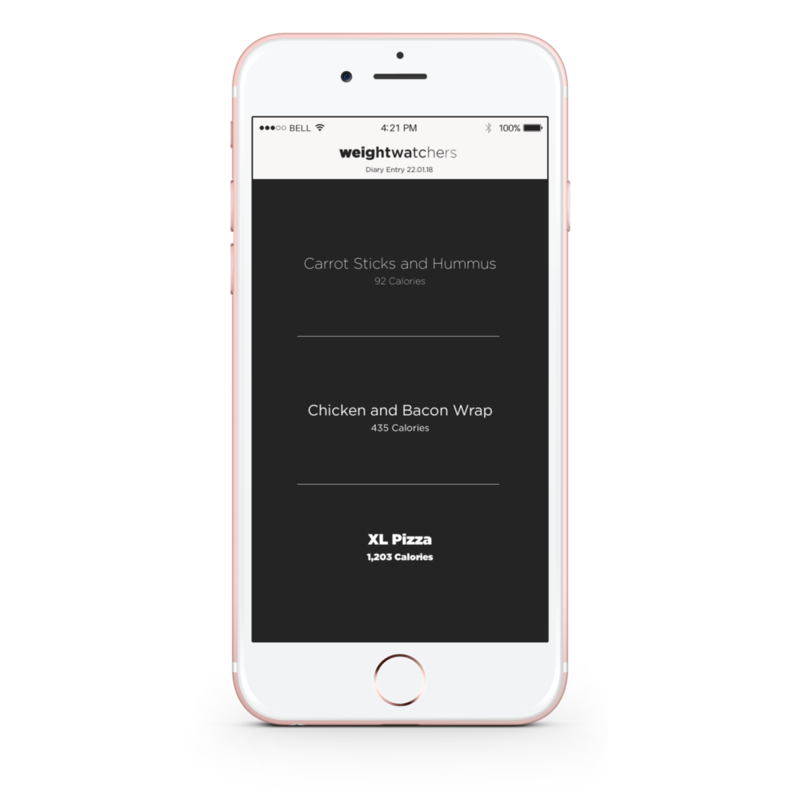 As a nudge within the Weight Watchers app, we’ll show users the amount of calories that different dishes contain through the weight of type. As users lose weight, the font within their journalling section of the app will do so too.